Over the last several decades, organizations have relied heavily on analytics to provide them with competitive advantage and enable them to be more effective. Analytics have become an expected part of the bottom line and no longer provide the advantages that they once did. Organizations are now forced to look deeper into their data to find new and innovative ways to increase efficiency and competitiveness. With recent advances in science and technology, particularly in machine learning, organizations are adopting larger, more comprehensive analytics strategies. 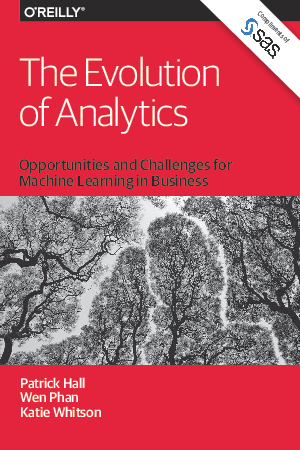 available for using machine learning in business, and how to overcome some of the key challenges of incorporating machine learning into an analytics strategy. We will discuss the momentum of machine learning in the current analytics landscape, the growing number of modern applications for machine learning, as well as the organizational and technological challenges businesses face when adopting machine learning. We will also look at how two specific organizations are exploiting the opportunities and overcoming the challenges of machine learning as they’ve embarked on their own analytic evolution.